Join us as we “Tee It Up”at one of Milwaukee’s premier golf courses for student scholarships at our 10th annual RCM Scholarship Golf Classic. It will be held on Monday, June 11th at the Wisconsin Club’s Country Club. Over the past nine years, proceeds from this event has raised more than $400,000 for student scholarships. Today, we have 23 students in the program. All of our scholars are Milwaukee residents and most are the first in their family to pursue higher education. 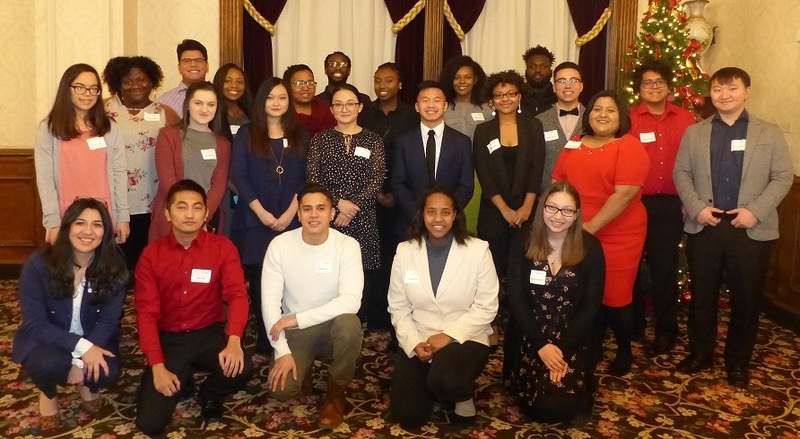 Scholars and alums recently gathered at the Pfister Hotel with mentors and parents to share stories of the past semester. Early bird registration rates are $1,200 for a foursome and $300 for an individual golfer until May 5th. Prices increase $25 per golfer after May 5th. The RCM Scholarship Golf Classic is a great opportunity to socialize and network with Rotarians and friends. Enjoy a round of golf, an incredible meal and live and silent auctions. If you’re not a golfer, join us for an open bar, dinner and all the fun.